Dreamcoat FlooringBlogWhat is the best flooring for a commercial kitchen? 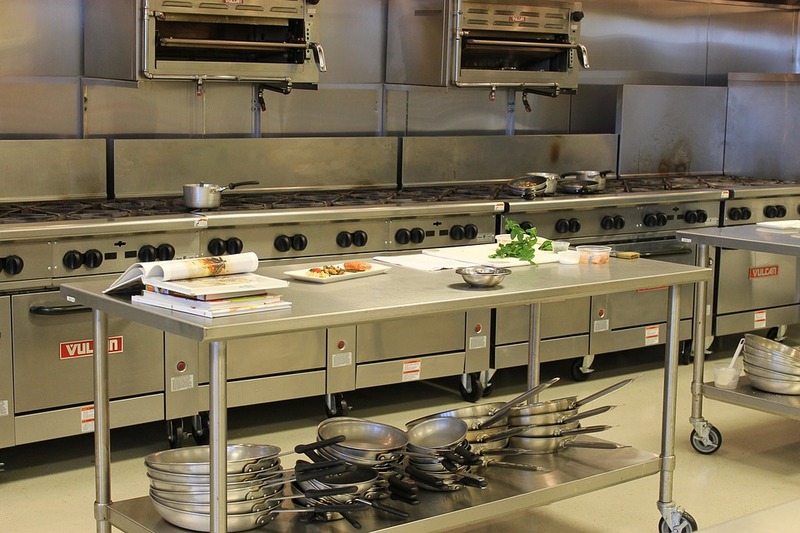 Deciding on the best solution for a commercial kitchen floor isn’t easy. Not only do you have to worry about the costs of your flooring, the time and effort of the installation, and, ultimately, how your choice will stand up after days, months, and years of wear and tear — but commercial kitchens are held to the highest standards of cleanliness, health, and hygiene. Thankfully, the same rigorous industry standards that can make it so difficult to decide on a solution, also provide clear guidelines and indicators of what should take priority when choosing a solution for your commercial kitchen floor. If you are a current commercial business owner in the Phoenix area, then you must be aware of the Arizona regulations (see link here) and federal laws which places the utmost importance on durable and hygienic food industry floorings. These floorings need to meet a number of USDA standards. They need to be designed to endure high foot traffic, regular and rigorous cleaning, and potential food spills. They need to be seamless, and businesses often also require ‘cove moldings’ where the floor and wall meets, all to reduce the risk of bacteria and mold growth in hard-to-clean areas. Generally speaking, the worst solution will always be doing nothing at all. In fact, in most commercial kitchens, doing nothing isn’t an option. If you want your kitchen to pass industry inspection and meet federal regulations, your flooring is likely going to need to be treated. Some floor installation companies will include flooring solutions in their services, but these generic coatings might not be the best for your business. 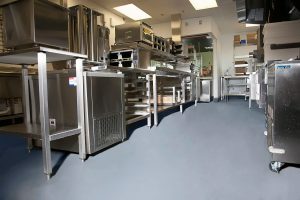 While epoxies can be an excellent choice for commercial kitchen floors, you have to make sure you select the right one. The best polymer flooring for a car showroom or your home kitchen’s gorgeous marble floor isn’t going to be the same as an epoxy pain designed specifically to coat high-traffic commercial kitchens. The wrong epoxy may crack under heavy loads or erode after repeated exposure to heat, food spills, and industry-grade cleaning supplies. There are a lot of flooring options for food industry floors: if you want to choose the best solution for your kitchen, then you should familiarize yourself with the best potential options, what they are the best at, and which one will best suit your needs. The go-to option if you want to be sure that your commercial kitchen flooring will stand up to whatever is thrown at it. 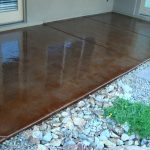 Cementitious urethane coatings are thick and strong, making them stress- and heat-resistant. Slip-resistant and antimicrobial additives can be incorporated into the system to make your kitchen floor as perfect as it can get. MMA systems are ideal for cold storage rooms in particular, as they cure extremely fast and aren’t impaired by low temperatures. This flooring is also shows marked resistance to acids and alkalis, so your coat should be secure against any potential spills. 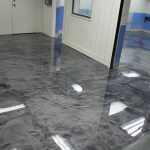 Epoxy floor coatings installed by high quality industrial and commercial epoxy flooring contractors can easily compete with cementitious urethane coating, and epoxies are well-suited to the tasks required of a commercial kitchen flooring system. Commercial kitchen flooring epoxies are an all-around reliable and durable solution. High-solid epoxies offer protection against acids and alkalis. High-solid epoxies can be fast-drying, odorless, and can be mixed with anti-slip additives to create a stable work surface. 100% solids epoxies are fast-curing, and are also resistant to thermal and mechanical shock, can endure frequent cleaning with hot water at high pressure, and can withstand spills from highly acidic products. Novolacs make for excellent floor coatings where chemical and heat resistance is paramount. Novalac stands up to extreme conditions, as well as aggressive chemical or cleaning solutions. 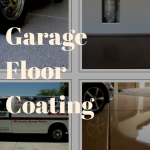 Ultimately, you’ll want to contact a professional Phoenix-based industrial or commercial flooring contractor to ensure the best results when it comes to choosing what sort of coating to use. Our company, Dreamcoat Flooring, designs and installs many restaurant and commercial kitchen epoxy flooring all over the Valley. We will help you meet USDA, FDA, and your own, personal standards, while making sure that you get the best system for your business.